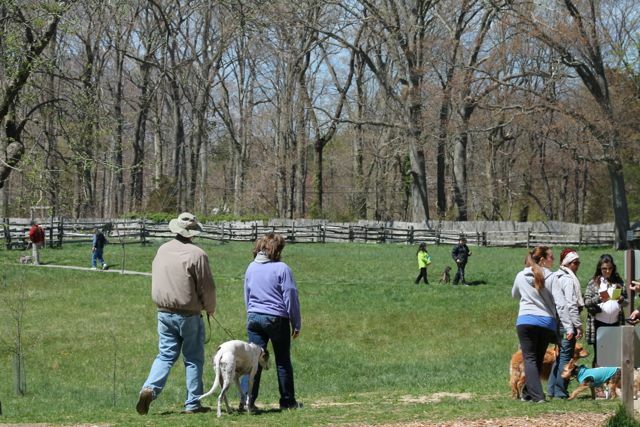 If you are looking for another historic and dog friendly spot on Long Island to take your dog on a Doggie Day Trip too – you’re in luck. 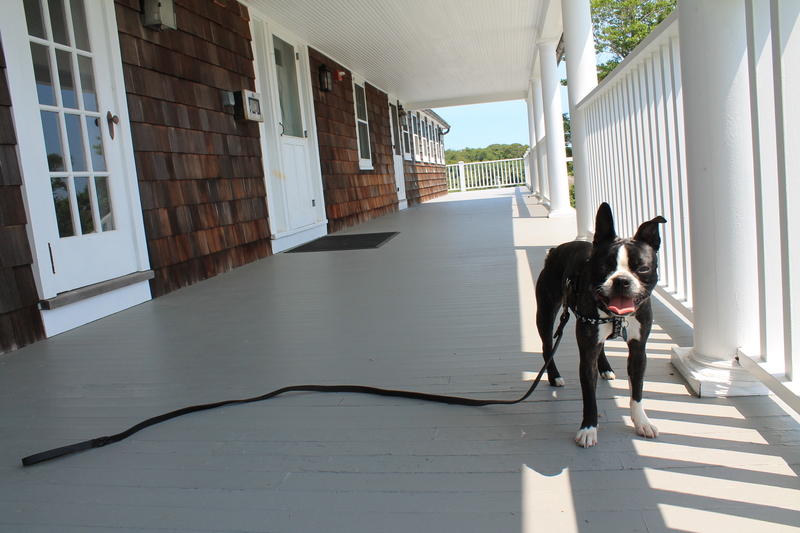 In our article series Historic Dog Friendly Long Island, and another of our series of Doggie Day Trips – this is combo of the two! 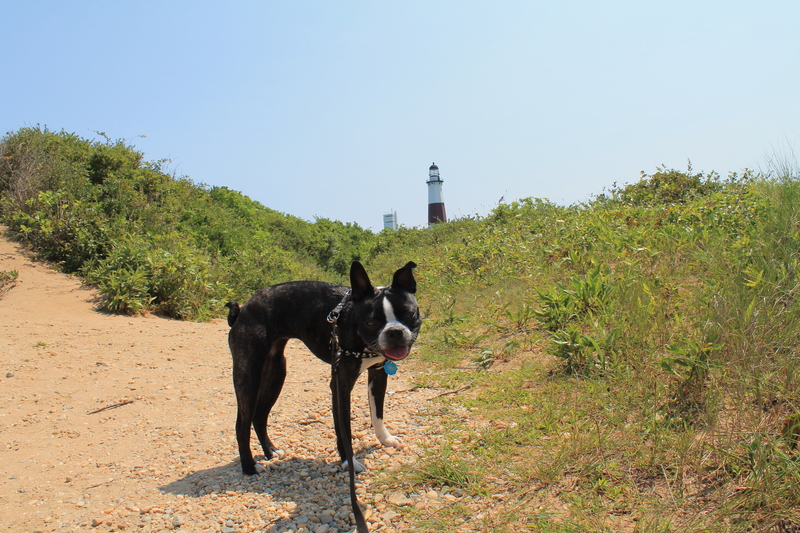 When we think of Montauk, aside from the beaches and laid back vacation vibe, you may not realize that there is a Suffolk County Park that is a piece of history, and dog friendly. 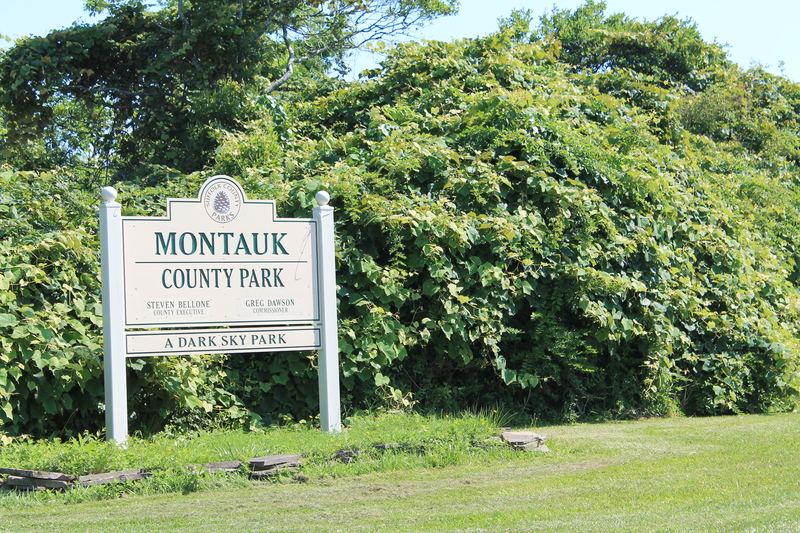 Montauk County Park is located just before the oldest horse ranch in America on the left hand side heading east on Montauk Highway. It’s a bit of a secret spot because you may just be driving by out to the lighthouse and pass right by not realizing what you are passing. 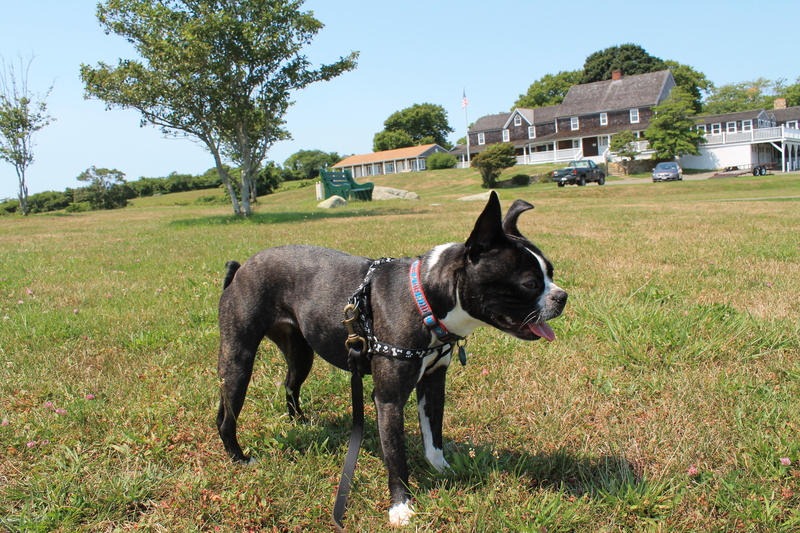 On a recent Doggie Day Trip, I was accompanied by Snoopy Brunn, the cutie pie Boston Terrier in all the photos. 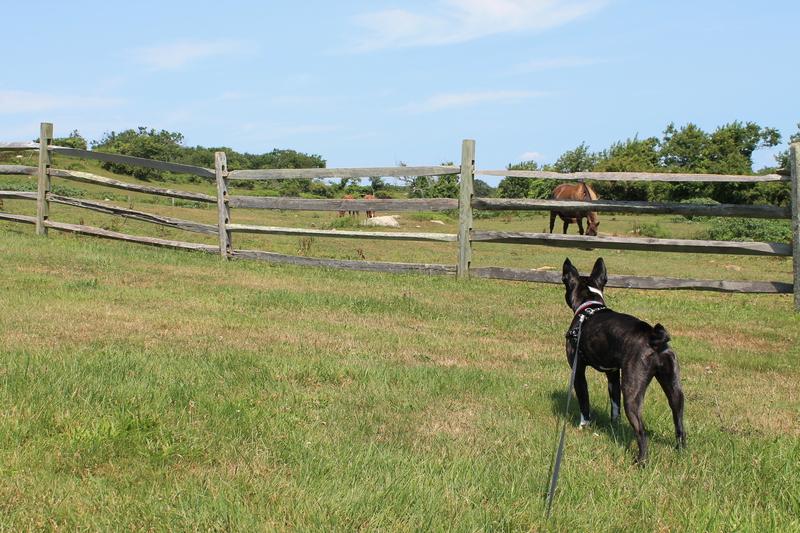 She an east end native, but this was her first visit to these MTK spots! 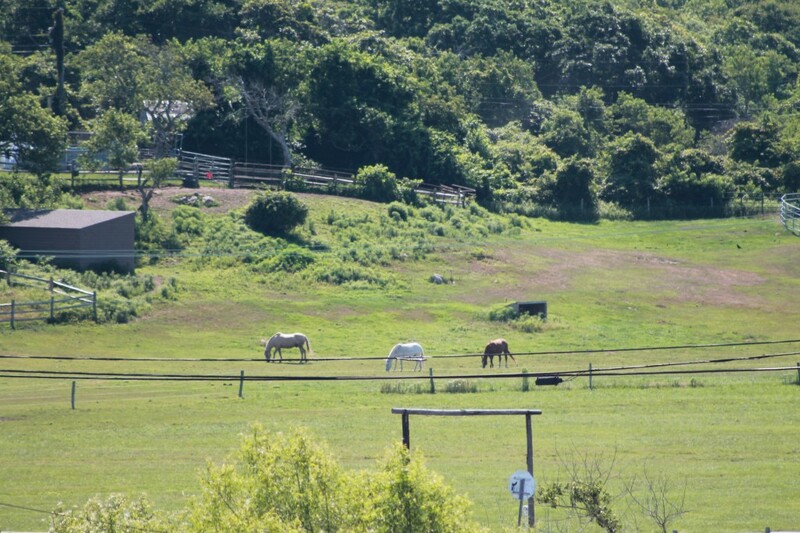 Montauk County Park is packed with history, being the home to the first cattle ranch in the United States, and the historic “Third House” on the property was home to the early cattle keepers. The home also played a significant role in the Spanish American war as it was Camp Wikoff – and served as the quartine area after the war for nearly 30,000 troops including Teddy Roosevelt. 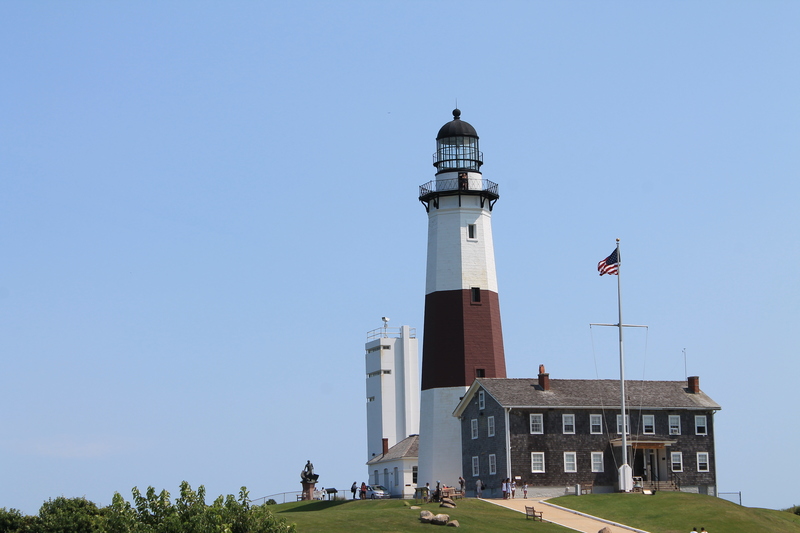 While it’s not the biggest county park on LI – it’s a great stop to make on your way out to the lighthouse, especially if you’re traveling a distance to get there. The park is dog friendly and the very historic grounds over look the horse ranch, and when we were there, there were no other dogs. So if you have a dog that maybe doesn’t do great with other pups – this is a nice spot to visit, maybe bring a picnic for you and your dog and enjoy the quiet, beautiful scenary and clean crisp fresh air that seems to be just a bit different in Montauk. Snoopy was very good observing the horses, don’t let your dog harass or get to close to the horses, respect their space – this is their home after all. After hanging at for a while or if your just want to go straight out to the Montauk Point Lighthouse, while this is a state park that are generally not always dog friendly, (although we have a few state parks on LI that are dog friendly state parks), you can bring your dog to MTK lighthouse. He is just not allowed on the lighthouse grounds or near the restaurant…but other wise you can walk the hilly trails which are great for hiking. 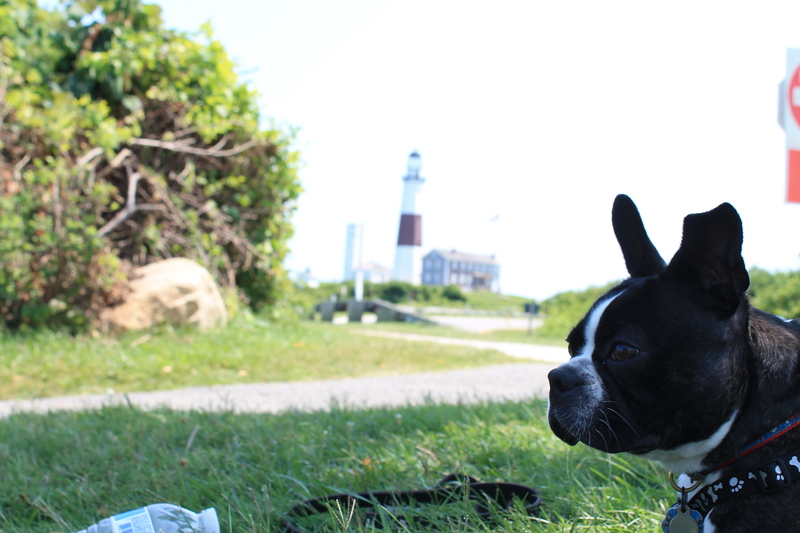 You can bring your dog down to the beach – leashed of course at all times, and have him pose in front of the lighthouse. The beach is very rocky – but incredibly beautiful – the color of the water is gorgeous! If you want to do the trails – it’s a great place to do a hike with your dog – I have personally done the trails a few different times with my dog in the past – and we always had a great workout. Just be sure to check yourself and your pup for ticks after the hike if you go this time of year. Also if you go during the off season – or in winter, be very careful as it is hunting season, and not all hunters abide by the rules of where they should be hunting and that they shouldn’t be doing so on the weekends. (My friends and I learned that the hard way when we hiked in December on the weekends and heard gun shots very close to where we were the hunters were not supposed to be there). A suggestion is to have your dog and yourself wear bright colors and never take your dog off the leash while hiking the trails. Snoopy posing at the beginning of a hiking trails. The secret of Montauk? September is probably one of the most amazing months to visit, the weather is perfect, it’s not hot and less people. You can bring your dog through town and enjoy the beauty around you. 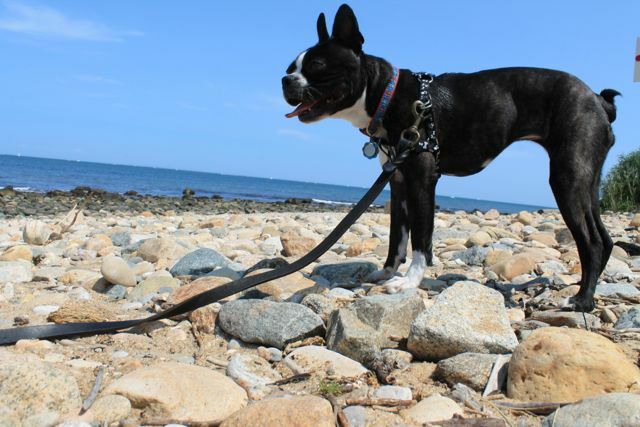 Have your pup pose for some pictures in MTK – and post them in the Facebook comment section below! For a LOT more pictures of Snoopy’s adventure in Montuak, click here. And remember bring water, treats, a pet first aid kit and if you do the hike, be sure to check your pup for any buggers. I have been many times in the past it’s a beautiful spot to visit, almost like you have left LI altogether. 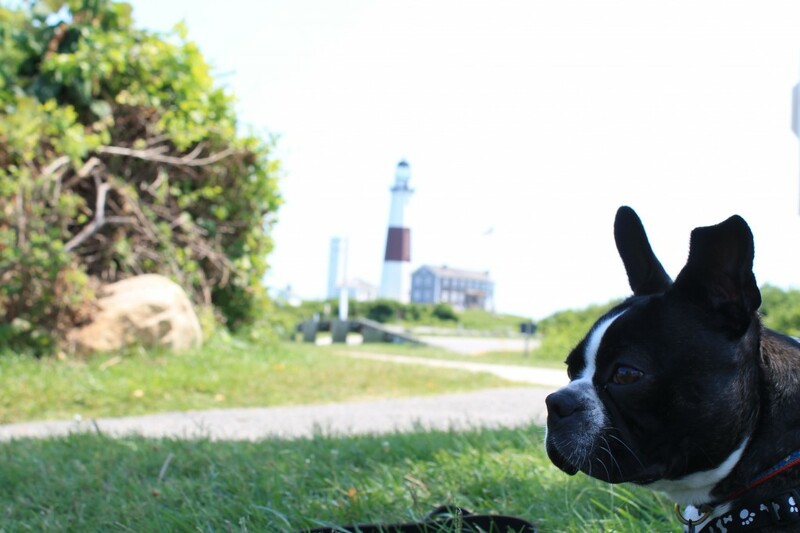 Enjoy – and stay tuned for our next article Historic Dog Friendly Long Island – and Doggie Day Trips – coming very soon! 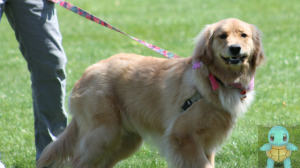 In the past few weeks two new dog parks have opened on Long Island for dog owners and their pups to enjoy. 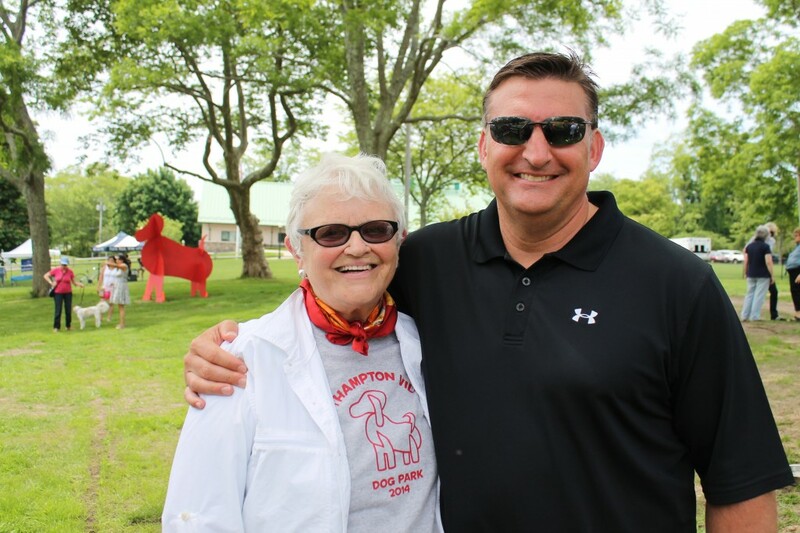 The first opening on Sunday, June 8, 2014 was held in the village of Southampton with a ribbon cutting ceremony with Mayor Mark Elpey with his wife Marianne and their dog along with the Animal Rescue Fund of the Hamptons, (ARF) and the Southampton Animal Shelter Foundation who also hosted Hampton’s Dog Walk immediately following. This much needed new addition boasts 1-full acre of fenced in doggie bliss. 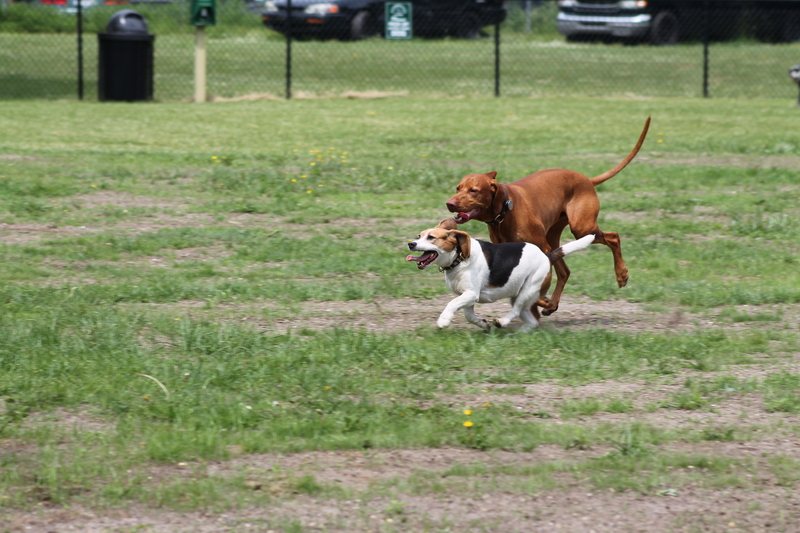 At the opening approximately 100 dogs were running, playing, rolling in the grass as their owners looked on with joy. 100 dogs, not one incident doggie growls – almost as if they all knew this was their place to just be and have fun. The park is adorned with benches, poop pick up bag stations, an adorable sculpture of a dog – but of course. There is also a founders rock, which the dogs were, well marking as you can imagine. 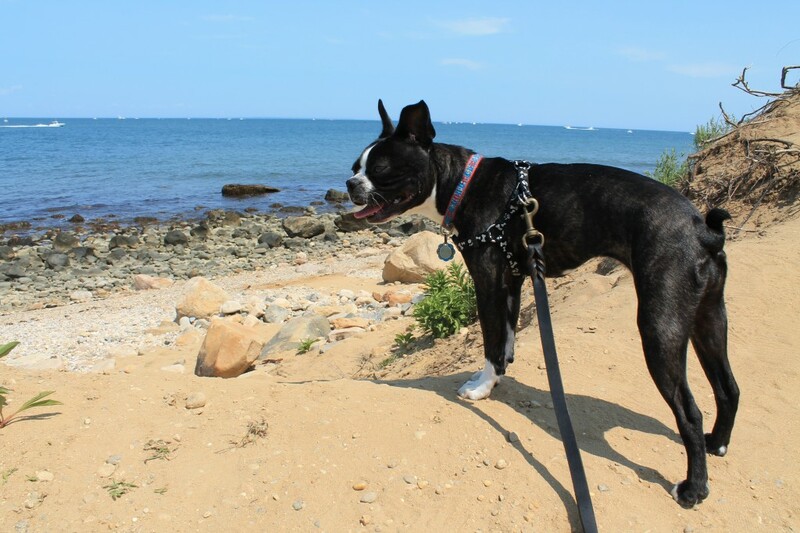 This park is a wonderful addition to the already dog friendly village of Southampton in which a lot of the beaches you can bring your dogs to and also have area hiking trails. 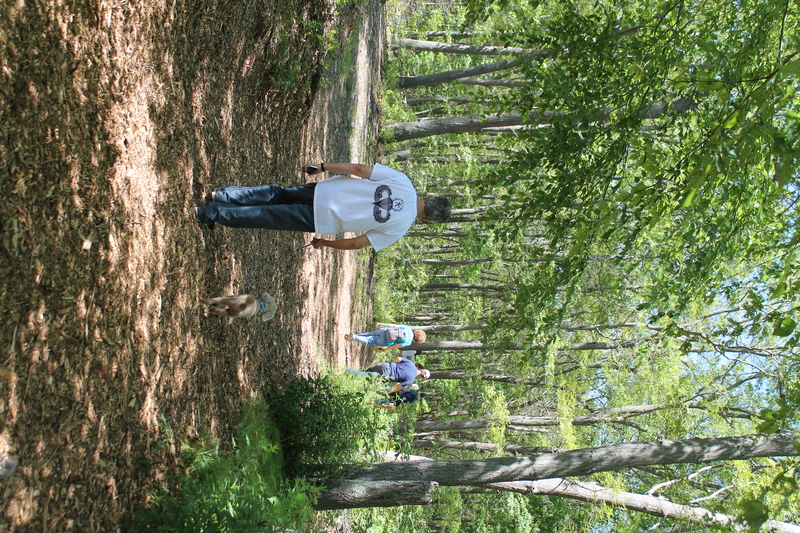 And now residents do not have to drive up to Springs in East Hampton where the only other dog park on the South Fork is located. 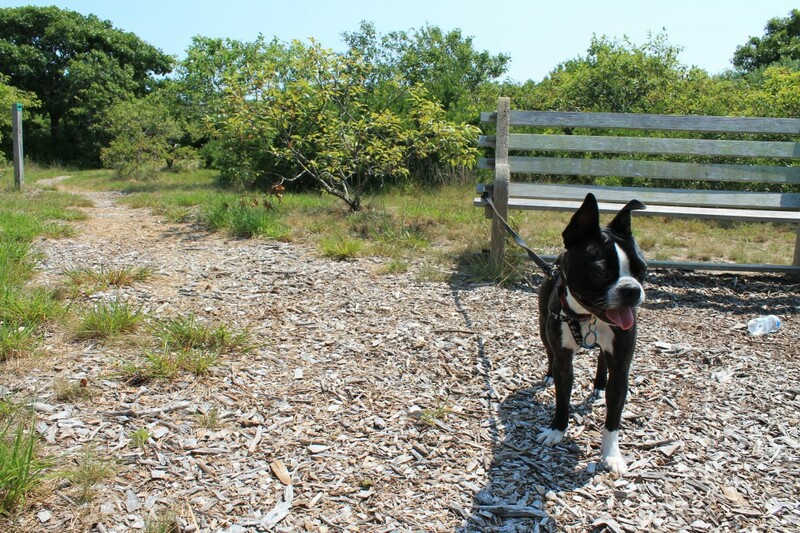 The Lola Prentice Dog park is located right in the heart of Southampton Village on Windmill lane next to the police station. There is free parking right in front of the park and is open from dawn to dusk. The organizers of the park are looking into to bringing in a water line into the park to install a pump or watering station. While the park is one open acre – their may be plans to make a section of the park for little dogs. 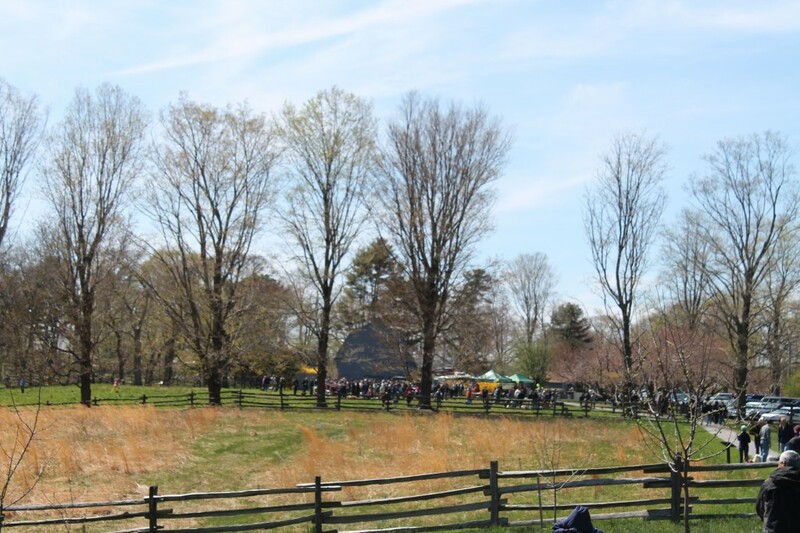 To see more pictures from the opening day of the park, click here! 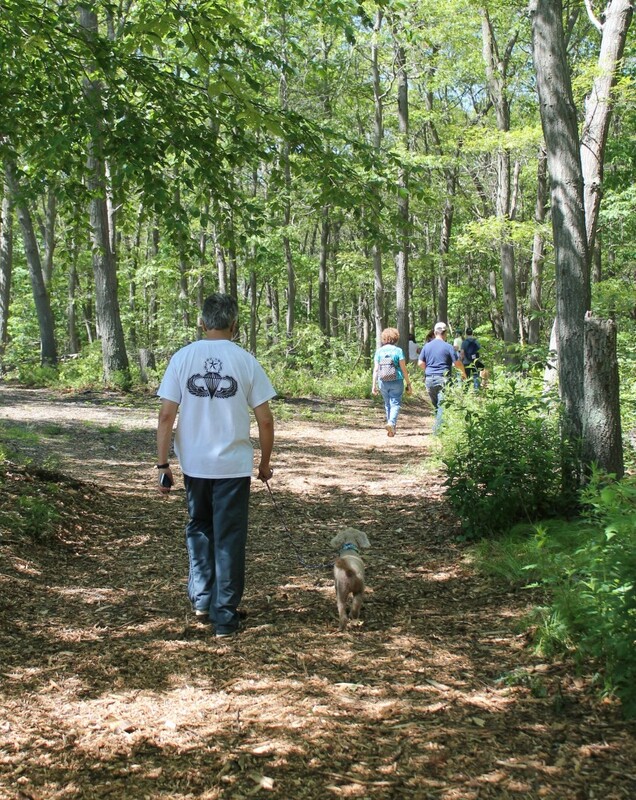 The 2nd dog park that opened was this past Saturday, June 21, 2014 in Dix Hills – however it is not a fenced in park but beautiful woodland trails nearly 2-miles at the Dix Hills Park. Techinically it always had dogs being walked in there, but it is now officially a dog friendly place to walk with your dog. LI-Dog was on hand for the ribbon cutting as well as officials from the Town of Huntington, and many excited dog owners. LI-Dog lead a Pack Walk through the trails, gave out maps to anyone who was there to follow along, and information about the park. To see more pictures from the park opening click here! Contact LI-Dog for more information about the park. In light of the recent tragic death of a dog at a local Long Island pet sitting and doggie daycare center in Oyster Bay, here is important information for pet owners on how to choose a pet sitter or doggie day care facility. Visit the facility or pet sitter’s home if you are boarding your pet there. Ask to see all areas in which your dog may be in, backyard, doggie run area, and where your pet will be kept during its stay. The pet sitter should have you fill out paper work, with all your contact info, veterinarian and emergency contact info, any food allergies, medical issues your pet may have, or special needs or instructions for your pet. This is something that should be done by all pet sitters or dog walkers who are taking your pet into their care whether it is for a walk or overnight stay at their facility/home. You should have a meet and greet with your pet at the doggie day care and definitely with any pet sitter you are going to hire. It just helps to see how your dog and the sitter do when meeting. Ask how many dogs are at the facility at one time and how many pet care givers are present supervising the pets in their care – and what their qualifications are to be doing so. How do they screen the dogs coming into their facility? How do you know what dogs are there when your dog is there? Ask where is the closest veterinarian facility to them. Many pet sitters are able to text you pictures and video of your pets while they are in their care, and send you updates as well. It’s a great way to feel at ease while you are away or just at work to see your pet is being well cared for. While the death of a pet is rare occurrence at a doggie day, you are better off with as much information about the facility you are bringing your pet too. Ask questions, get a tour of the facility and when you leave you should feel comfortable about bringing your pet there, the same goes for the pet sitter or dog walker you are hire. 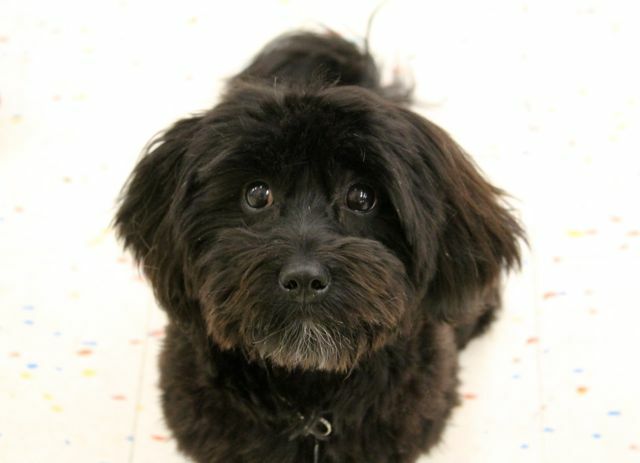 The adorable pup below is a stock photo from LIPetPlace and is not the dog who died. 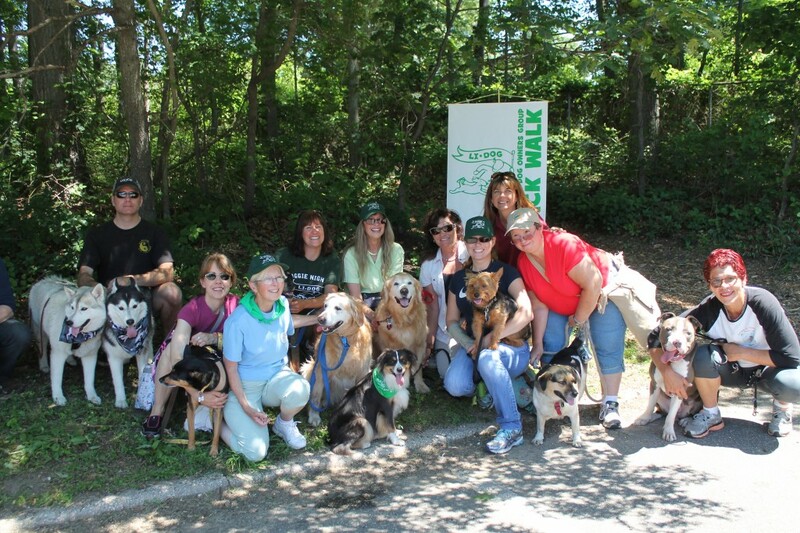 This past Sunday, the friends of Sagamore Hill hosted their first ‘Dog Day’ as part of the celebration of National Park Week – it was hosted at the beautiful grounds of the Sagamore Hill National Historic Site. From 11am until 4pm dog owners romped the grounds, posed for pictures. watched the performances of Jilli Dog, learned about LI Dog and participated inthe ‘dog fur’ contest. There was also a comfort station for the pups and even yummy dog treats being made on site. 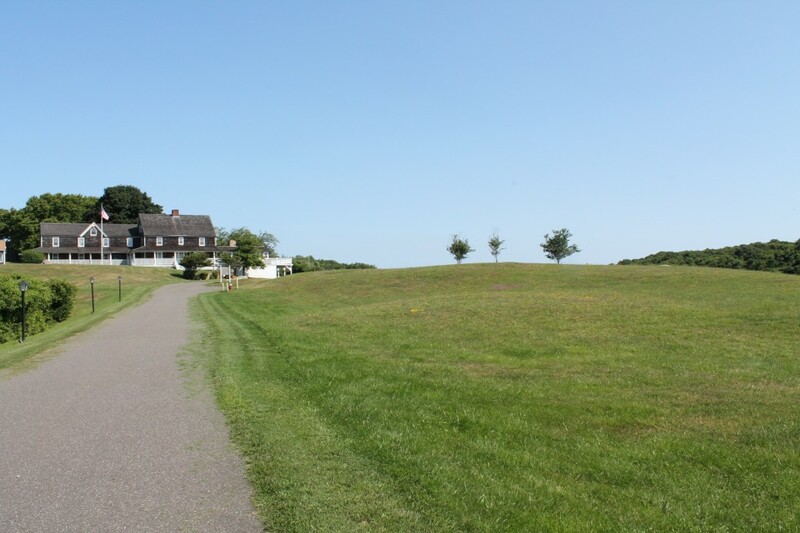 Sagamore Hill Historic Site was former home of President Teddy Roosevelt and his family willed it to the National Park Service with the condition of always having it be accessible to dog owners too. The Roosevelt’s had many dogs and other animals on the historic site in the sixty years there. It is a treasure, in beautiful Oyster Bay. 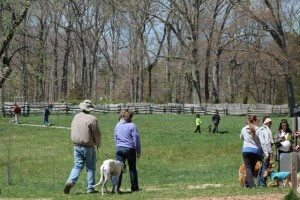 You may have read that the historic home is under renovation – but the rest of the grounds are open to walk your dog. Also, the museum is open, visitor center as well. 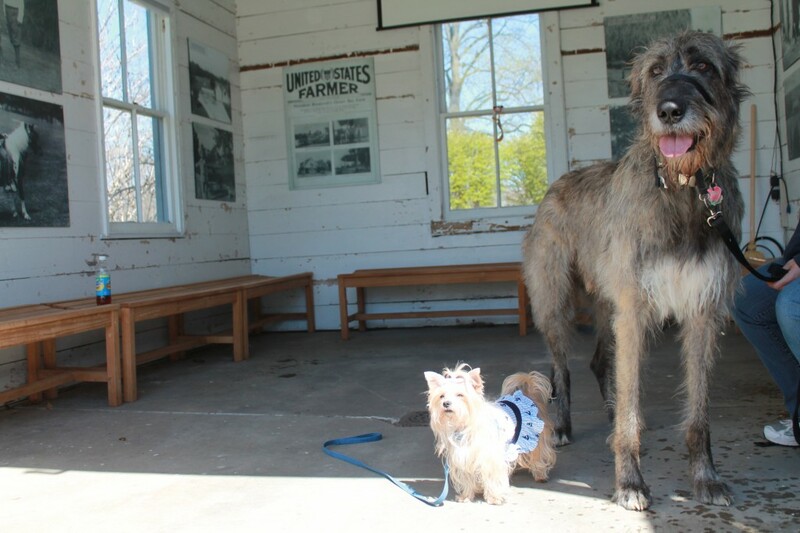 If you are looking for somewhere to go with your dog that is different, and a step out of history – head to Sagamore Hill you and your dog will absolutely love it! 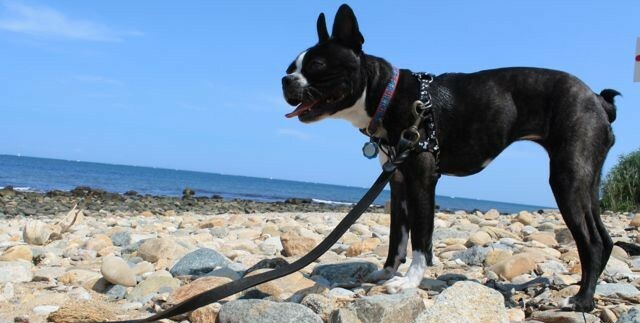 Scroll down for link to tons of pictures – maybe your dog is in them! Dogs big and small loving dog days, hanging out in the barn. Would love to know your favorite place to walk your dog, leave a comment below! 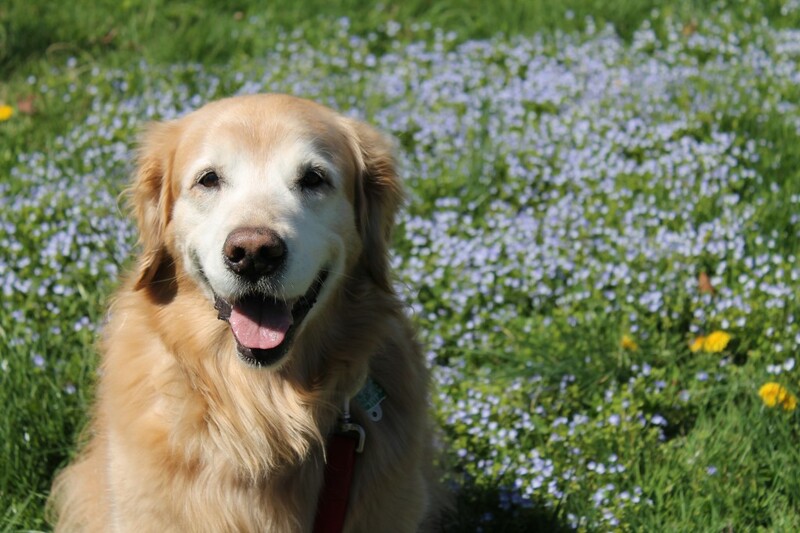 Gus posing in the flowers at Sagamore Hill!